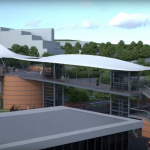 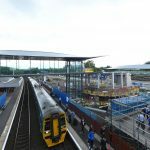 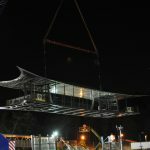 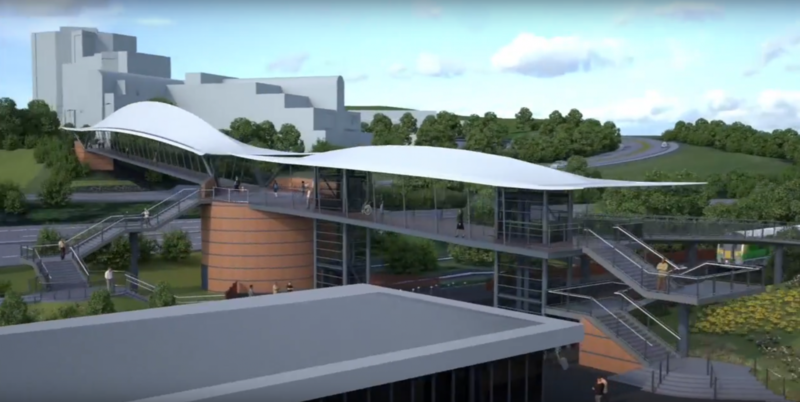 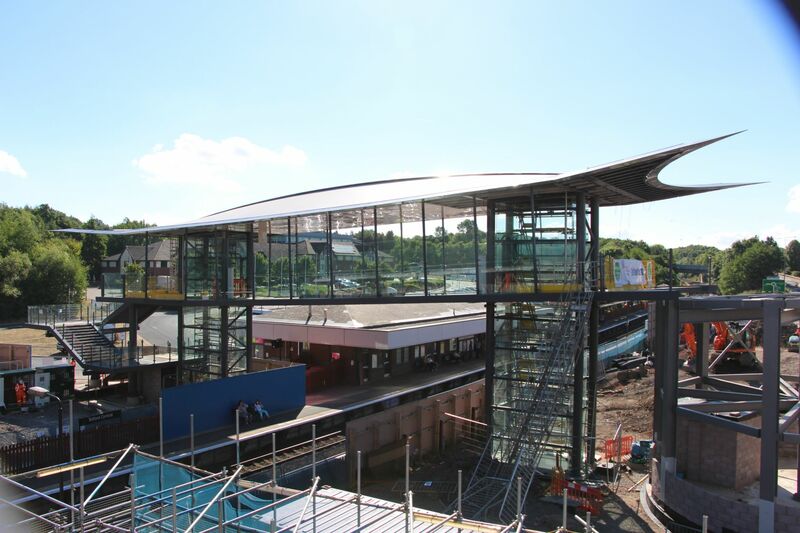 Work is being carried out to replace two existing footbridges that connect Telford Central Station with the town centre. 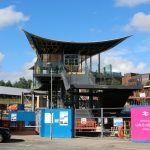 The existing structures are in poor condition and do not meet current design standards with particularly poor accessibility. 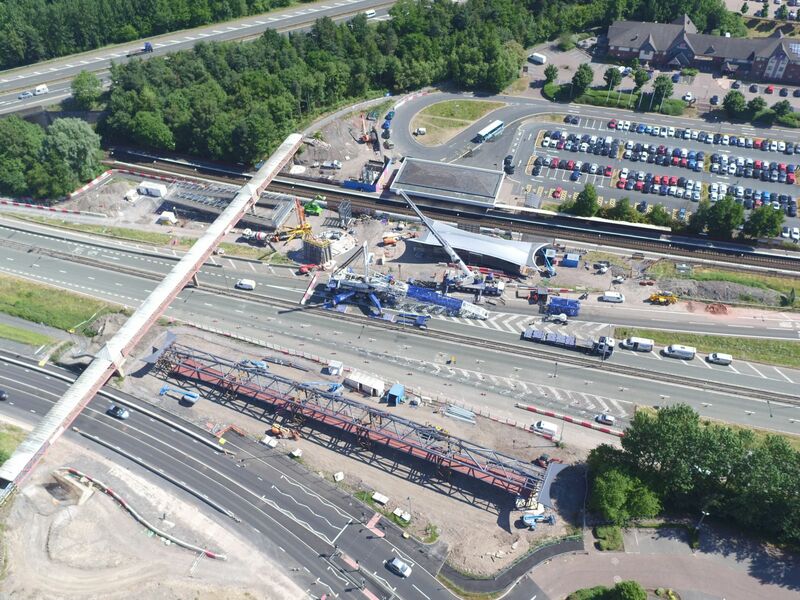 The replacement scheme consists of two new bridges, one which crosses the railway and the other which crosses the A442 Rampart Way inner ring road. 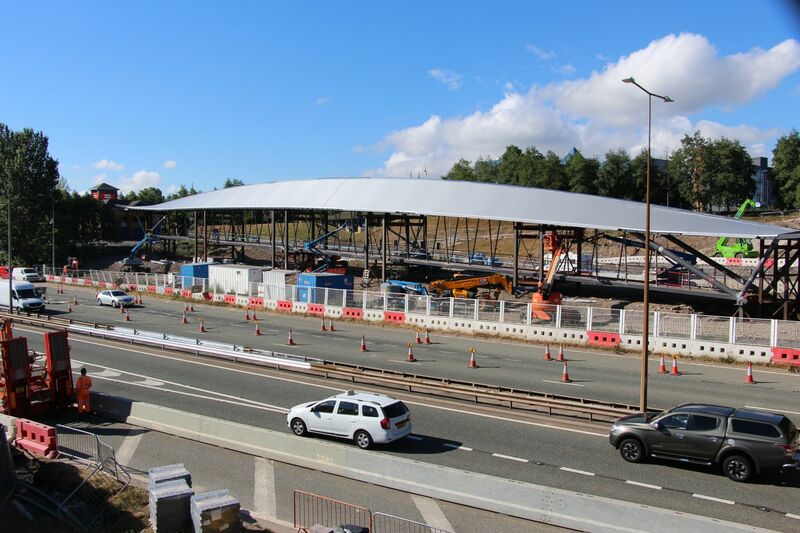 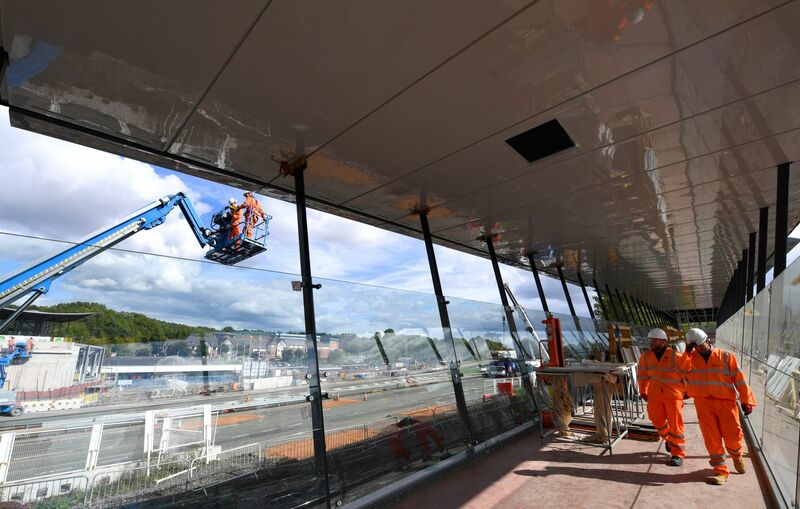 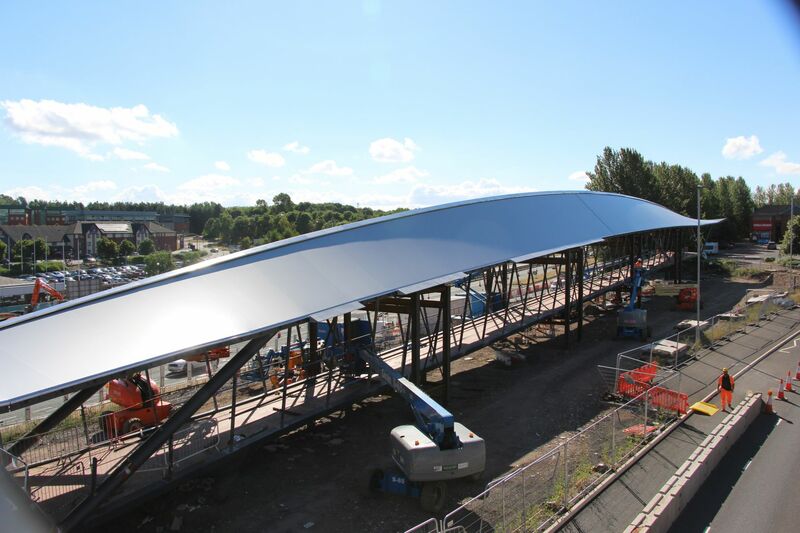 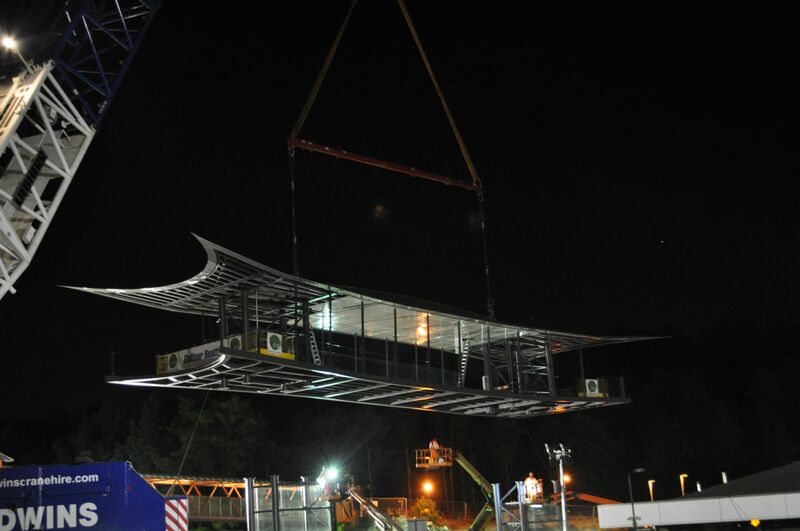 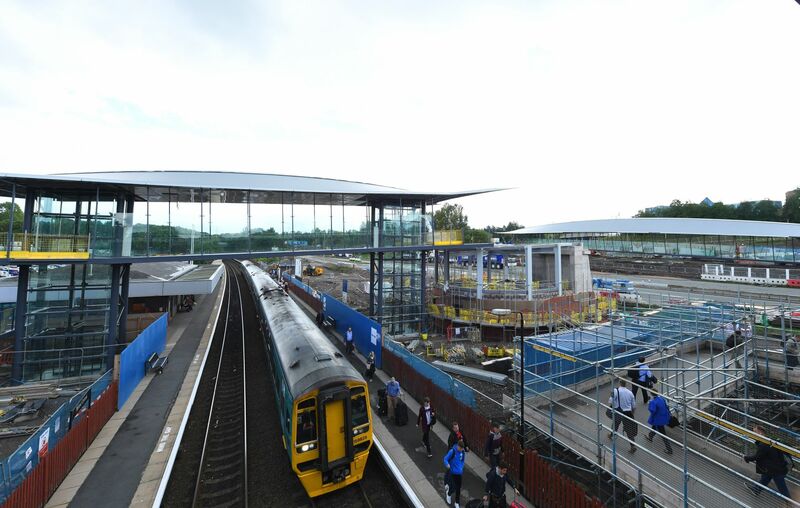 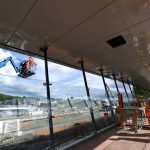 The new bridges will be vastly different to the old ones being much wider with a light weight GRP internal soffit and glazed sides, giving users a more pleasant experience whilst creating a more attractive approach to Telford from the station. 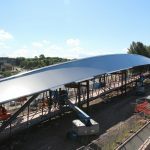 Externally the bridges have a shallow arched roof which is clad in tensile fabric that opens out to a ‘fish tail’ at each end. 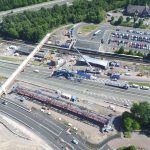 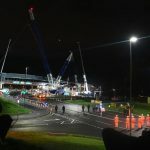 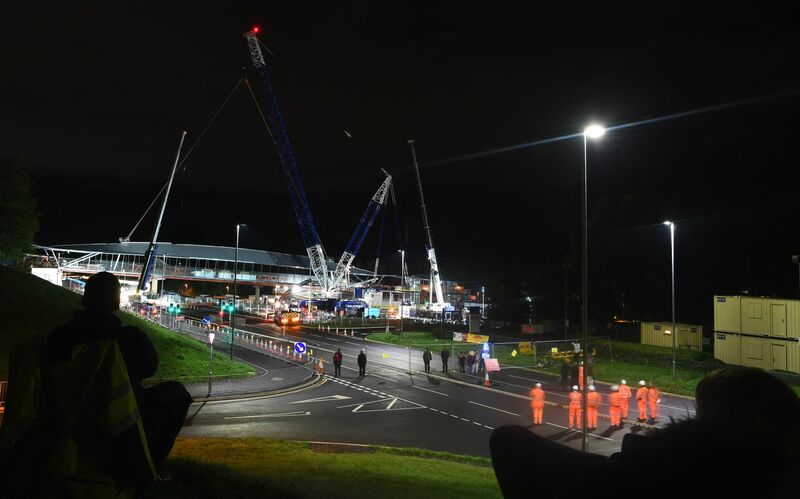 The railway span was successfully lifted in to place in July with the second much larger span being lifted into place later in the summer. 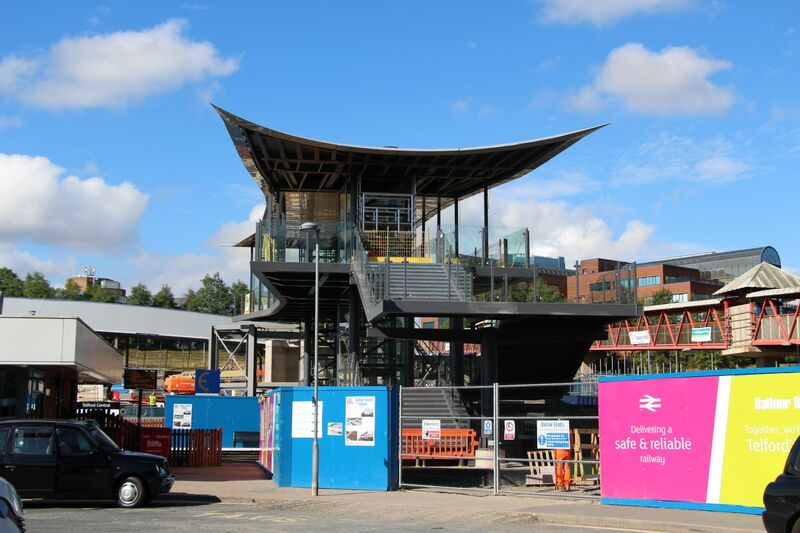 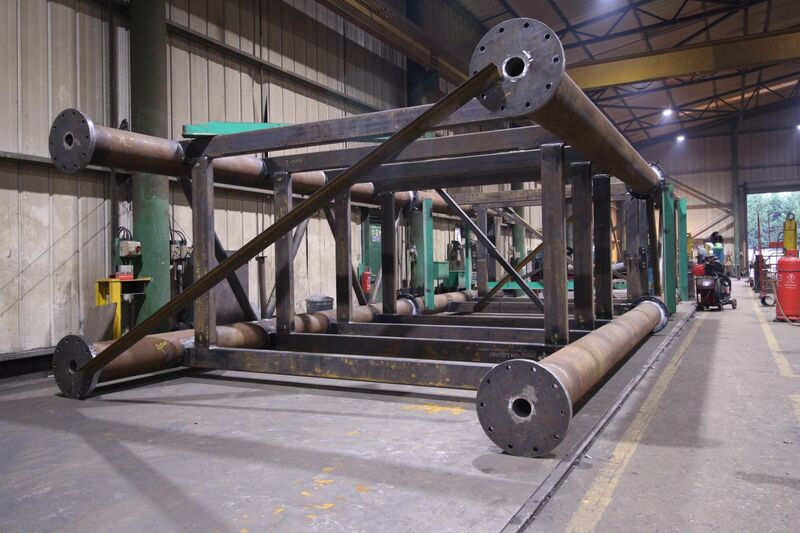 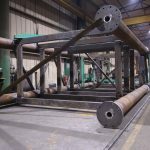 SH Structures scope has included the fabrication and installation of the two bridges, lift towers, ramps and stairs along with all finishes including the glazing, GRP and tensile fabric. 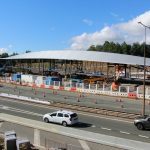 This is an extremely challenging project but it is a great example of the benefits of a collaborative approach to construction. 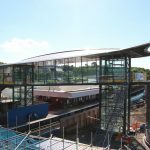 The close working relationship between SH Structures and Main Contractor, Balfour Beatty, the structural engineers and the client has been a key factor in the successful delivery of this complex scheme.